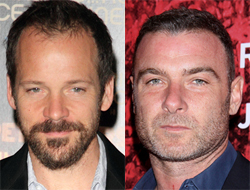 Peter Sarsgaard and Liev Schreiber Join Bobby Fischer Pic ‘Pawn Sacrifice’!! You know how certain films come along and make you feel deeply connected to the lead, or even the antagonist? They touch you deeply and form who you are as a person. It always comes to you in times of need…this is starting to sound too much like ‘Let It Be’ by The Beatles. I’ll jump ahead. ‘Searching for Bobby Fischer‘ never inspired any of that in me. I get that he was a Chess prodigy Grand Master. I know it’s all about his struggle to get there. If it’s an ultimate struggle at least give me video games…I could relate to ‘The Wizard‘ all day long. Chess just taught me to taunt obscenities and throw pieces when I got beat…which is all the time. 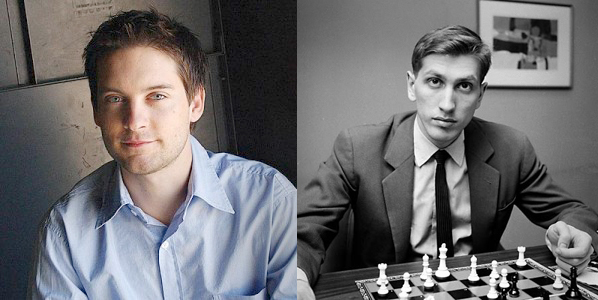 I guess my point is this – ‘Searching For Bobby Fischer‘ wasn’t great to me, so why make a new one? However, Hollywood doesn’t listen to me or there would be a lot of Christina Hendricks showing up in TV and movies… naked. That being said, Tobey Maguire has been developing this new project for years and will play Bobby Fischer, himself, in the Ed Zwick-helmed film, ‘Pawn Sacrifice‘. Peter Sarsgaard and Liev Schreiber are also set to co-star in the film. This project has been in development for quite sometime with numerous directors attached at different times including David Fincher (famous for ‘Se7en‘ and ‘Fight Club‘). But, Ed Zwick is on board to direct the film which will begin production in Montreal, next month. Stephen Knight (‘Eastern Promises‘ and ‘Dirty Pretty Things‘), penned the screenplay. This entry was posted on Tuesday, September 24th, 2013 at 3:16 pm	and is filed under Film, News. You can follow any responses to this entry through the RSS 2.0 feed. You can skip to the end and leave a response. Pinging is currently not allowed. Bobby Fischer was tall and didn’t have a baby face.